Hsieh saw an opportunity and invested $500,000 and eventually would go from investor to co-founder to CEO of what today is the iconic Zappos, named after the Spanish word “zapatos”, which means shoes. Zappos sold to Amazon 10 years ago for $928 million and is one of the largest most well-respected eCommerce brands alive today. Zappos is just one example of a startup that transformed into a titan through great leadership, a great product, a whole lot of luck and the revolution that is eCommerce. A revolution that has only just begun. Everything has changed and it’s only the beginning. eCommerce has been around for roughly three decades and we’re just now starting to see its full impact on the way consumers shop. Once upon a time, if you needed a mattress, you would spend hours in a crowded retail store staring out at a sea of dozens and dozens of mattresses, awkwardly laying down on each as a mattress salesman circled you like a shark hungry to make a sale. Today, if you need a mattress, you go to Casper or Lull or Leesa on your phone or laptop, select the mattress you want and it’ll be shipped to your doorstep in a box that could fit in a refrigerator. Yet, this revolution spreads even further beyond shoes and mattresses. Harry’s, the grooming giant that delivers monthly shaving supplies right to your front door has made driving to the store to pick up a razor a thing of the past. And, don’t even get us started on massive eCommerce juggernauts like Alibaba and Amazon, the latter of which currently controls a mind-boggling 50% of all eCommerce in the United States. These sites sell everything to everyone –– books, refrigerators, clothes, electronics –– in just one click customers can get whatever they want and get it delivered in 1-2 days. They’re also in the process of developing drones to make multi-day shipping a thing of the past. Imagine stepping outside to see a drone hovering on the horizon in hot pursuit for your home to deliver that flat screen tv you ordered just hours previously. Yet, while eCommerce is as big as it has ever been. It is still only about 10% of all retail. Yes, you read that correctly. 10%. This means there is still a ton of room for eCommerce to grow... which means there will be many more Zappos of [fill in the blank industry]. In today’s article, we’re going to jump in a time machine and discuss the future of eCommerce… a future that might be much closer than any of us realize. Trends, tools and predictions that give us a peek into the future of eCommerce. Here at Banuba, we’re playing, working and designing in the future, building tools for eCommerce brands all over the world that allow them to drive more revenue by creating stunning digital experiences for their customers. Digital experiences so breathtaking, it’ll make their customers pinch themselves. To do this and to do it effectively, we’re constantly looking one, two and three years into the future and asking... how can we make this future available today? Here are some trends, tools and predictions we’re playing with right now. 1. Shoppers will be able to try on anything, anywhere. There’s a common complaint among shoppers when it comes to eCommerce. You’ve probably heard it... “I like to try on my clothes before I buy them.” Brands like Zappos mentioned previous have attempted to battle this complaint by offering free shipping on returns. When a pair of shoes doesn’t fit quite right, maybe they’re too big or too snug, Zappos will cover shipping when their customers decide to return them. This is all good and well. But, it costs Zappos money (a lot of money) when you think about the number of returns they get each year. And, not to mention, it’s a pain for the customer too. Nobody wants to spend their time packaging up a pair of shoes that didn’t quite fit. In the future of eCommerce, there won’t need to be “free shipping on returns” because something called “virtual try-ons” will exist, offering a totally new online shopping experience for customers. Online shoppers will be able to virtually try on a pair of jeans or shoes all from their phones. Brands like Vint & York eyewear have actually implemented virtual try-ons with their glasses. Think back to a time when you’ve tried on a pair of glasses or sunglasses... how many pairs did you have to slip on your face before finding the perfect pair? Ten? Twenty? Vint & York is aware of the difficulty that comes along with finding the right pair of glasses so when customers are shopping online they can see how they look before making the purchase. The result? A much better customer experience. There is a “wow” factor that comes along with customers being able to virtually try on a pair of glasses. And, there are also fewer returns because customers know how they will look before they make the purchase. Happier customers combined with saved costs for brands from a decrease in returns means everyone wins. And, better yet, here at Banuba we have actually designed a that allows brands to build out their very own virtual try-on experience and tailor it to their customers. So, whether you’re wanting your customers to test out your make-up, try-on your jewelry or throw on a pair of glasses... our virtual try-on solution is the perfect tool for your designers and developers. 2. Shoppers will desire more tailored online shopping experiences. We can’t just look to the future of eCommerce. Sometimes it is helpful to consider the past, too. Before eCommerce existed, customers did all of their shopping physically in stores... many of which offered an authentic and unique experience. Think about the gentleman walking into a shop to get a suit. The tailor works with him one on one, asking about his preferences, his budget and of course taking measurements, too. Together, the gentleman and the tailor find the perfect suit for him. 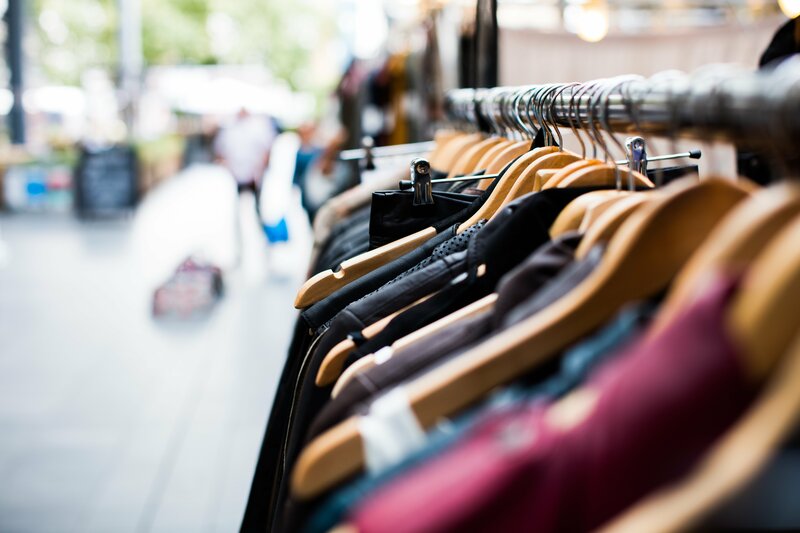 This “tailored” shopping experience is something that has been lost over the years as larger chains like Walmart, Target and Costco have dominated cities and have put small mom and pop shops out of business. The same can be said for eCommerce websites. While the move to eCommerce has been marvelous in so many ways, it has removed the more human elements of shopping. There is no longer a human connection at all but instead, a screen separating the shopper from the brand. These two things have removed the tailored experience that customers appreciate. Brands like Trunk Club have attempted to mitigate this problem by combining their eCommerce website with their very own personal stylist. Before customers commit to receiving a trunk of clothes delivered to their doorstep every month, a stylist will jump on a call with them and ask a series of questions to gain a better understanding of the clothing they’re looking for –– very similar to a traditional tailor. But, what if your brand doesn’t have the resources to provide a tailored experience like this for your customers? Eventually, mobile camera technology combined with artificial intelligence will make this tailored experience much more affordable for brands (and much more scalable). We know, because we’re already exploring this pairing. Here at Banuba our allows beauty brands to harness the power of artificial intelligence and mobile cameras to help their customers gain a better understanding of their skin. We design it for brands could assess the condition of a customer’s skin and then come up with personalized product recommendations. It has the power to detect spots, wrinkles, textures and dark circles. It can estimate skin age and tone. And, it can do all of this while making product recommendations to treat specific skin conditions. Imagine for a moment customers being able to simply look into the camera on their mobile phone and then be fed invaluable insight about their skin, along with products that can promote healthier looking and feeling skin. Not only does this offer a more tailored shopping experience but it sells extremely well too. 3. Better, faster and in some cases “same day” shipping. Before eCommerce existed, customers were able to walk into a store and walk out with their purchase(s) in mere minutes. Year after year of this type of shopping experience conditioned shoppers to expect to have their purchases in their hands as soon as they cough up their hard-earned money. This instant gratification element that’s very present in physical in-store shopping has been one of the biggest struggles for brands to replicate in the online store. Today, when customers make a purchase online, they have to wait days and sometimes weeks to receive their purchase. And, if they want their purchases sooner, they have to pay a pretty large sum of money for express shipping. In the future of eCommerce, there will be better faster shipping options... and in an ideal world “same day” shipping. This is what Amazon is attempting to accomplish by developing an army of flying delivery drones. However, while we are waiting on this technology, brands can offer free shipping to set themselves apart from their competition. As a customer yourself, you must admit, there’s nothing better than finding out you don’t owe a dime for shipping come check out time. The future of eCommerce is here. Between the beauty analyzer and virtual try-on solution we’re offering here at Banuba, the future of eCommerce is just a click away for online brands looking to stay ahead. And, while same day shipping is still going to be a few years, we’re adamant that brilliant customer experience will make up for the instant gratification that shipping isn’t currently providing. The bottom line is that the future of eCommerce isn’t just closer than we think... it’s already here.